… but editors would typically prefer something a bit more visual, something a bit more WYSIWYG. 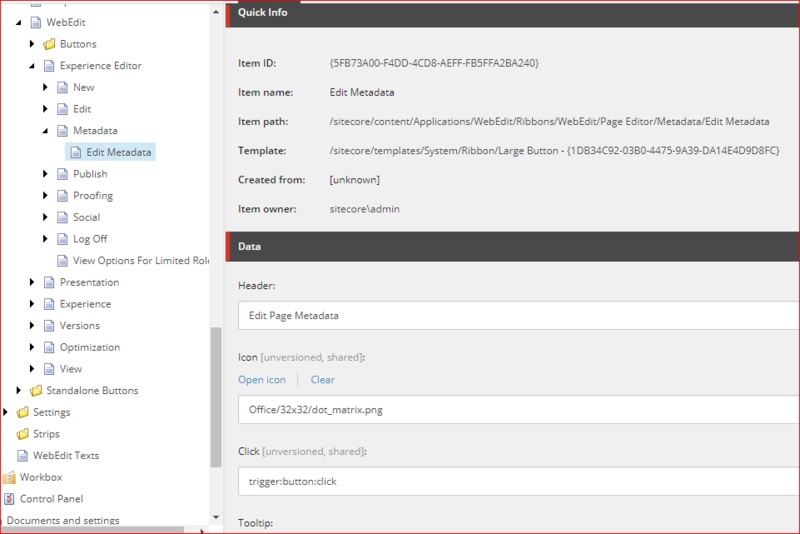 That’s a large part of the value that Sitecore give – inline editing. It’s the point of a lot of content management systems. That’s fine, and I’ve always found the Experience Editor fairly impressive in this regard – but what do you do about content that’s not visible in the page? A good example is page metadata – so, canonical URLs, metadata tags, browser titles (for the browser tab), etc.. You might also have a ‘summary’ or ‘thumbnail’ to use in some form of content aggregation. 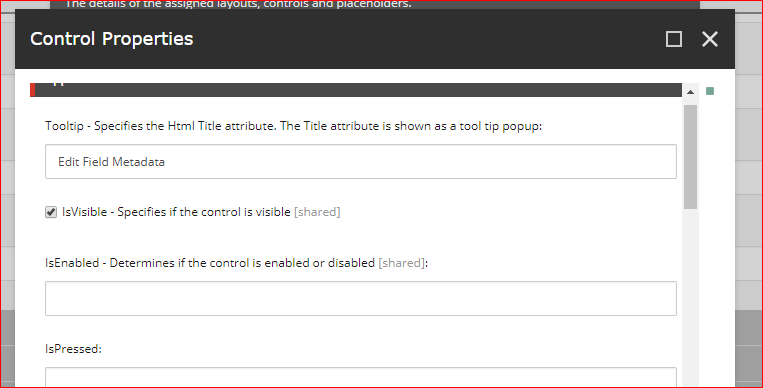 Well, in the SharePoint systems I used to work with, we’d use Edit Panels in the page – that is, areas of the page that would only be shown to editors, and that would let them set these bits of text. It worked pretty well, but it was a little… awkward. How about if we presented a dialog instead? I came across this post by Rey Rahadian about doing just that. 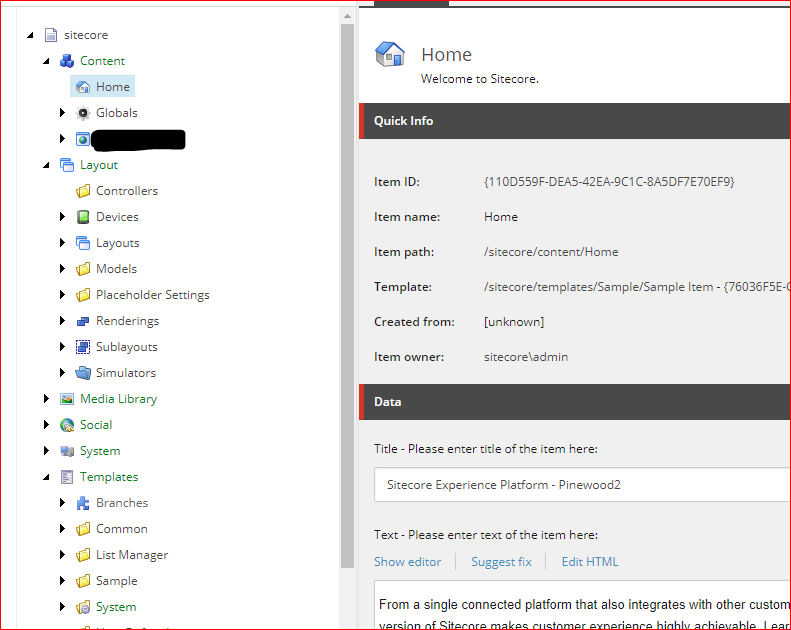 I’m not a huge fan of Sitecore Rocks – though it’s been a while since I used it. Anyway, I wondered, can I do this by hand, and can I do it better? Rather than presenting a specific set of fields, I’d rather present an entire Field Section – something like ‘Page Metadata’ – and let this vary per page. 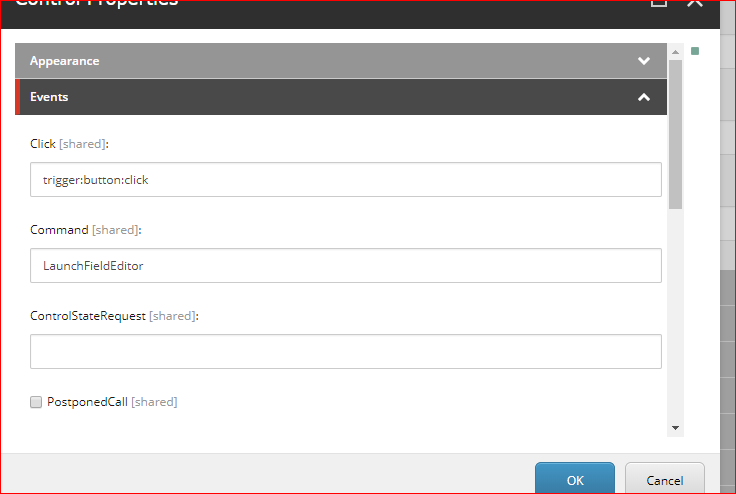 For example, some pages might have a ‘Summary’ field in the ‘Page Metadata’ section, and others might not. By displaying the section, we’ll handle that. Set up the events. Note the command. We’ll come back to that. In the Behaviour section, set the AccessKey field to be your field section you want to display. Yeah, I know, that doesn’t seem right. AccessKey shouldn’t be for that – but it seems to be the way that works…. Lastly, set the script file to a new script (which we’re about to look at). 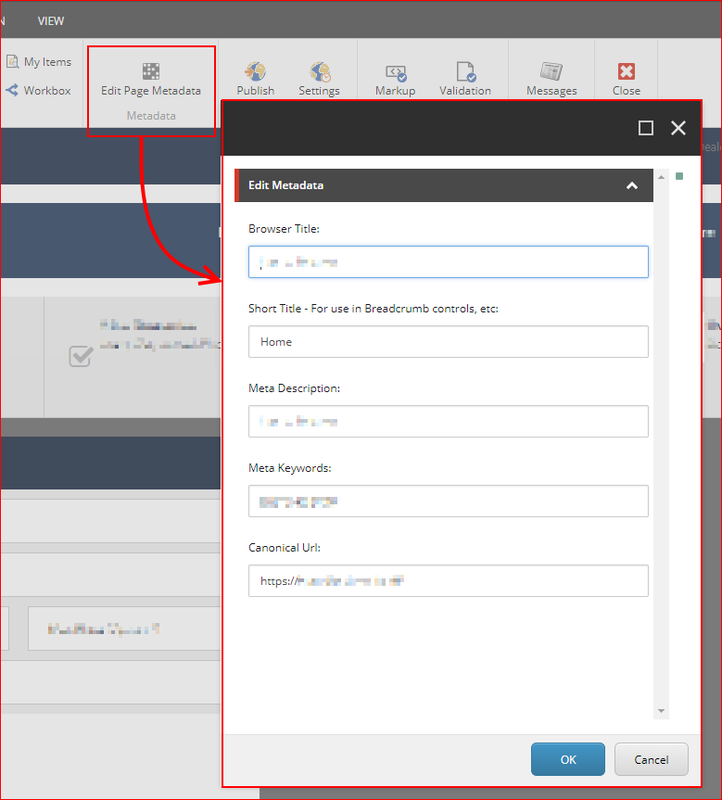 I set it’s path to be under /sitecore/shell/client/Sitecore/ExperienceEditor/Commands/ – this seemed to make sense, structurally. Okay, so what about that script? Basically, all it does is define a command (with the same command name we set on the button). This command has 2 functions – can it execute, and what it should do when executing. That will get the fields in a section by name, and feed them to the FieldEditor dialog. And that should be it. You should have a button that opens a field editor for a given section name.